Airsoft is a military simulation sporting game similar to Paintball. About Our Airsoft Rental & Airsoft Walk-on? Our all-inclusive Airsoft Rental packages are available for players of any ability from the age of 12 and upwards. They can be booked for any weekday (Monday to Friday) and/or any Saturday. The Rental packages include everything a player needs – such as a weapon and provisional ammo – in order to play fantastic Airsoft. 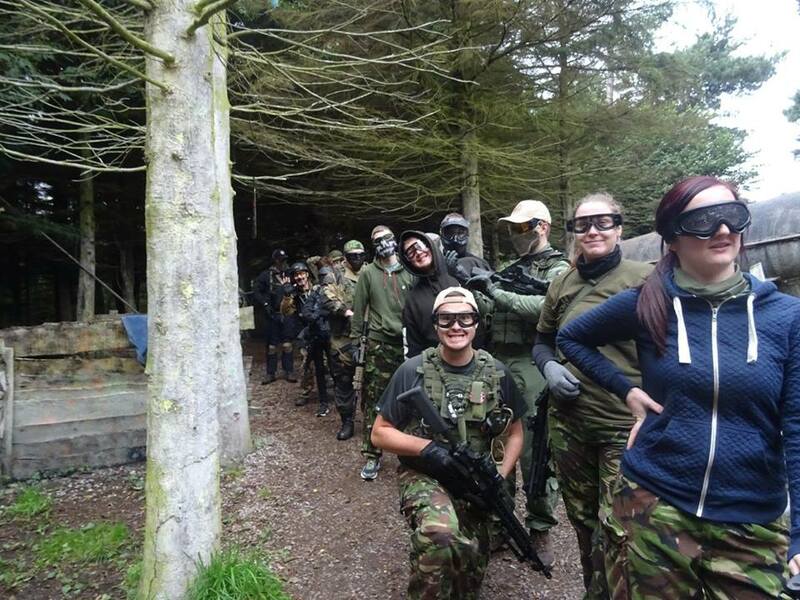 Our Airsoft Rental games are normally held at our Cribbs Causeway venue. 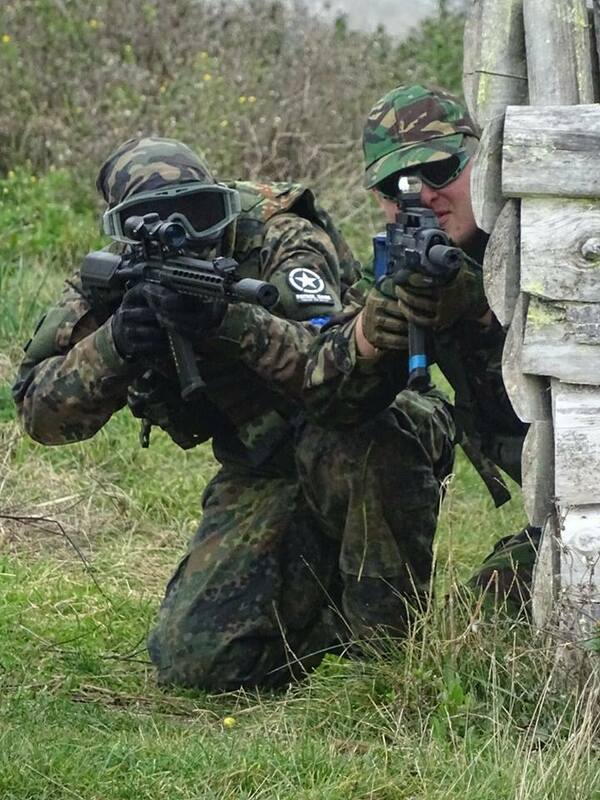 Our Airsoft Walk-on Events are held regularly on Sundays, and generally alternate between our two venues. Walk-on events are primarily aimed at players who have more gameplay experience, and who like to play on a regular basis. Walk-on players also usually have their own equipment, although we can provide rental equipment to Walk-on players if required. We have several Walk-on package options to reflect these two options. Airsoft guns are almost always replicas of real firearms. They are typically powered by rechargeable batteries, and on average a single charge will last for a full day’s play. They fire small plastic balls (Ball Bullets) at relatively low velocities of no more than 350 feet per second (fps) for Automatic Electric Guns (AEG’s) and 450fps for single shot sniper rifles. Some guns can reach a range of up to 40 metres and are capable of firing up to 600 BB’s a minute. BB’s do not leave identifiable marks on a player like paintballs do. It’s comparable to being pinched, and doesn’t leave a permanent mark. Because of this, a player honour system is used during gameplay. Typically airsoft players call out “hit” to indicate that they’ve been shot, before retiring from the battle field or playing dead. Our marshals are always on hand to adjudicate and uphold fair sportsmanship if required. Face masks or goggles must worn during gameplay to protect your eyes. Under 18’s are required by law to wear full face masks. Be aware that in some rare cases, Airsoft BB’s have been known to damage teeth and cause injury to thin skin on the face! Please be aware that wearing only goggles when permitted, is done so at your own risk! If you are unsure about any aspect of safety, either before your booked game day, or prior to a game at our site. Please do not hesitate to ask one of our Marshals, or contact us via our enquiry form or telephone number for more information.